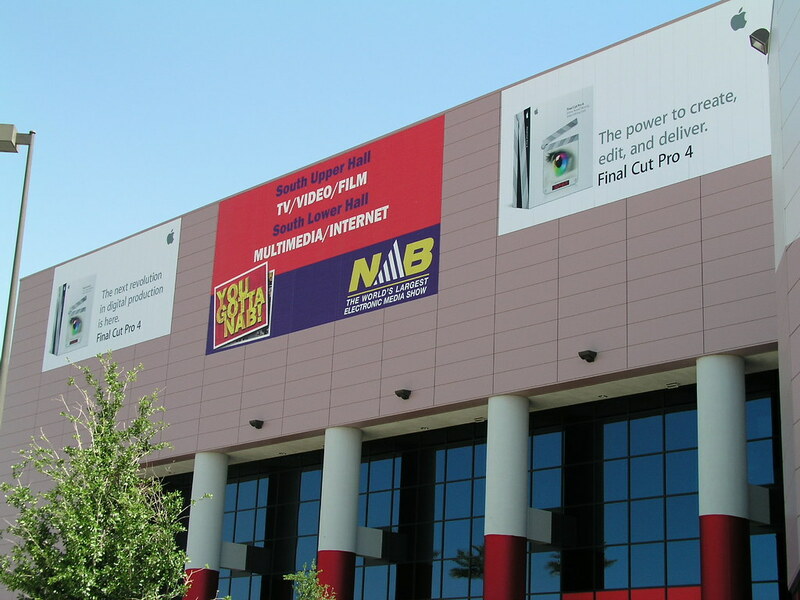 Attending the National Association of Broadcasters Expo. 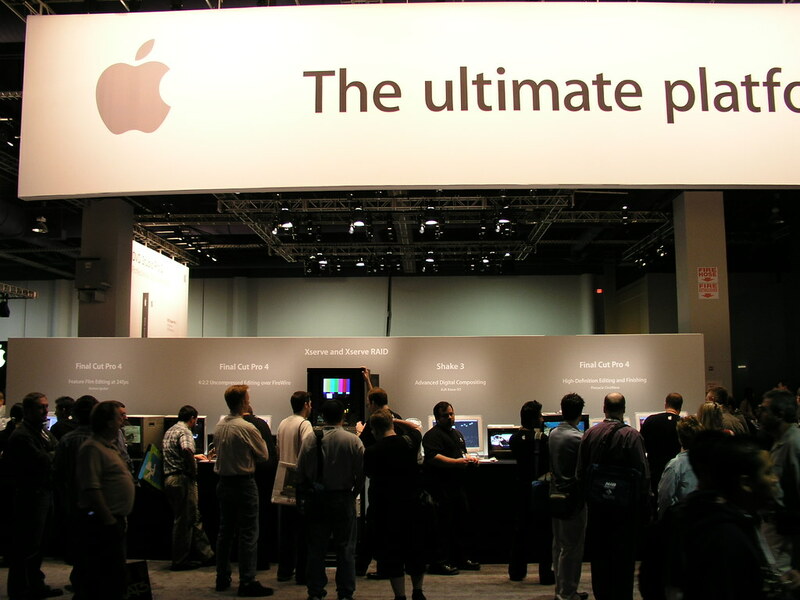 Several rows of computer stations to the left of the presentation area, showing off new and current Apple technologies. 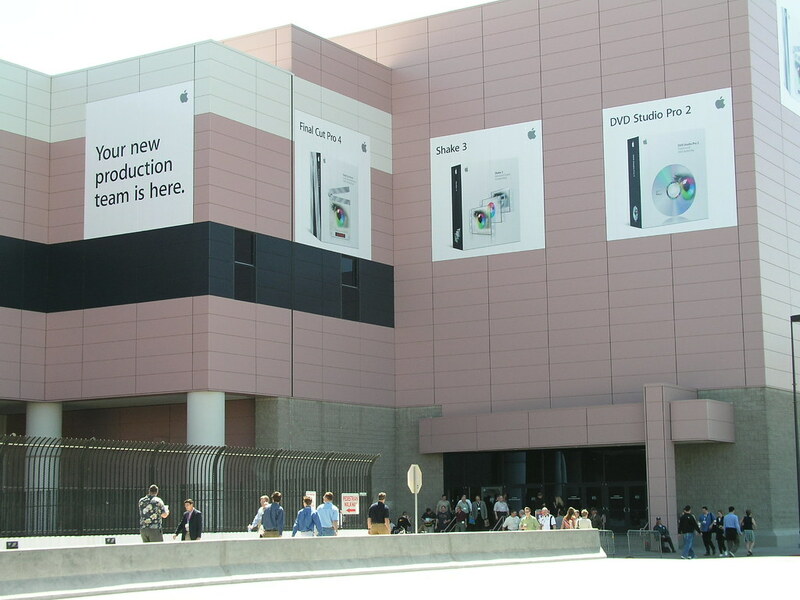 Following Apple's announcement of Final Cut Pro 4, banners were hung outside the main entrance to the south hall. 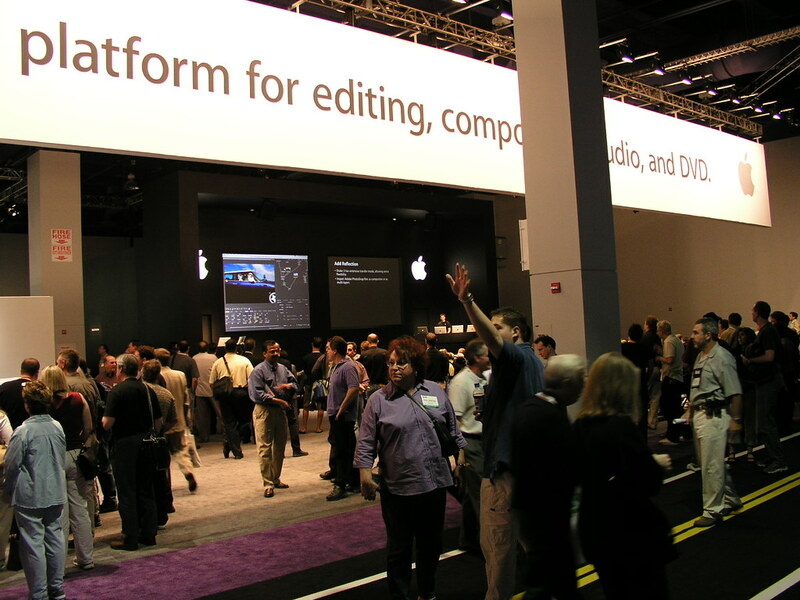 In the back left area of Apple's pavilion, a number of workstations were set up in a classroom arrangement. 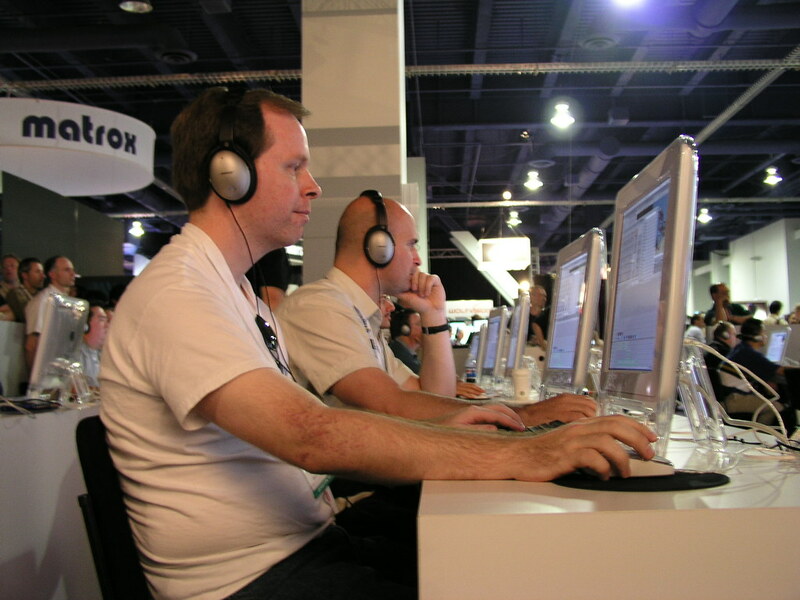 This is me taking part in an introduction to Final Cut Pro 4. 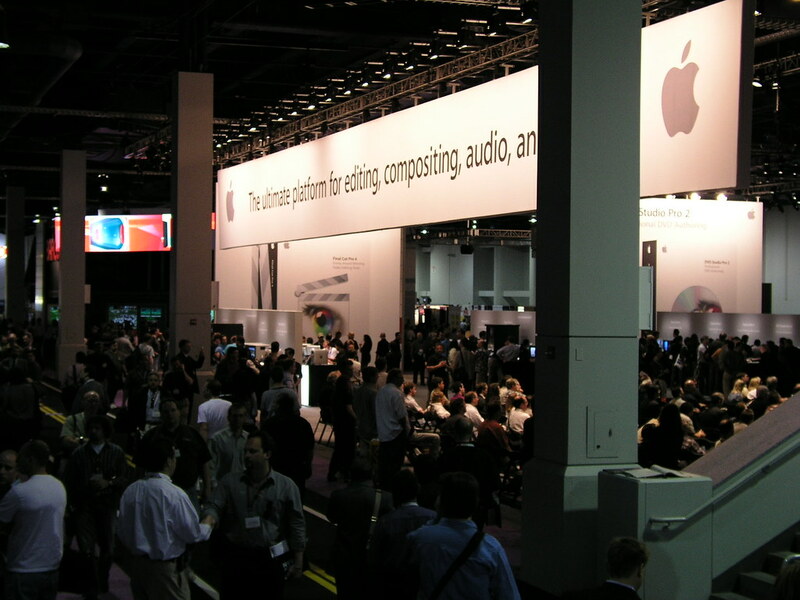 The rear half of the south hall, lower level. 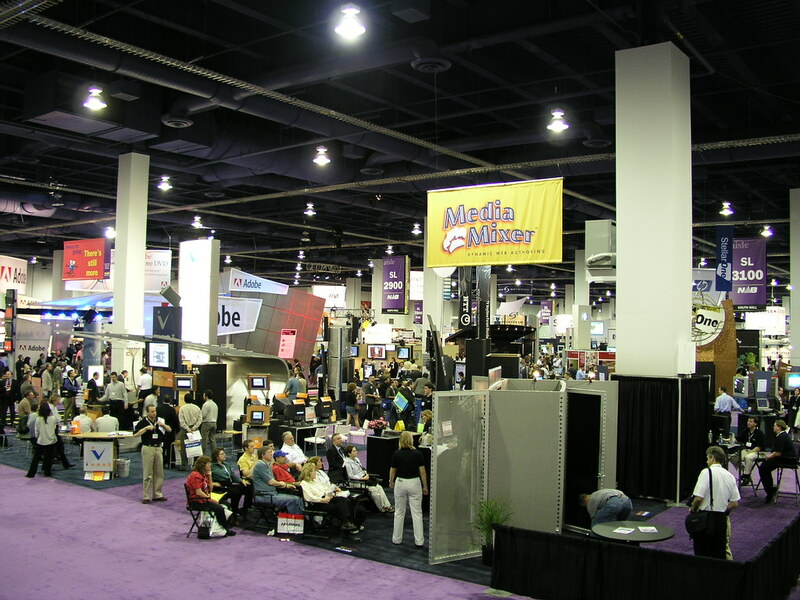 Multiply what you see here by maybe 9 or 10 and you'll have a fairly good idea of the number of exhibitors that were represented. Someone I believe to be a Cirque du Soleil performer seen here as a model as one exhibitor demonstrated a jib camera.